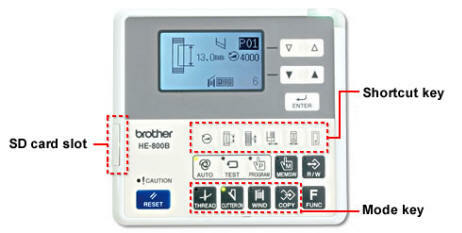 Brother's HE-800B button hole updates and replaces the established HE-800A model. See link below for makers leaflet. 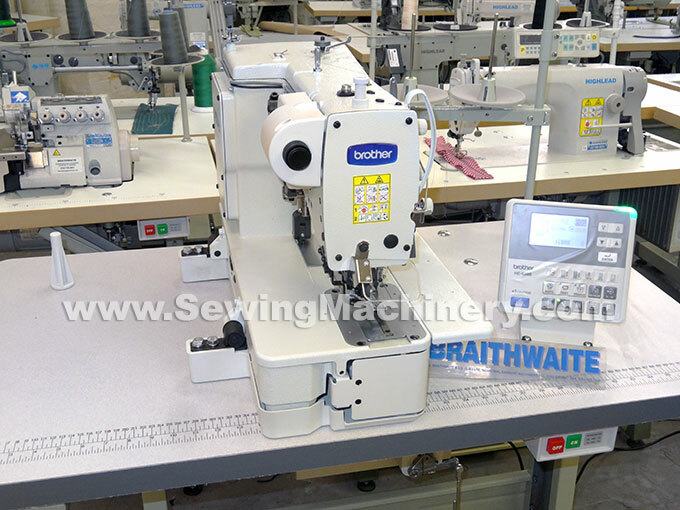 Different button hole styles and easy adjustment from an electronically controlled lockstitch sewing machine fitted with an improved hook assembly and high efficiency drive system. The HE-800B is equipped with a Brother developed electronic control panel which allows easy operator control of settings and the selection of sewing modes. An SD card slot is included as standard. Sewing pattern and setting can easily be copied and moved to other sewing machines. The Shortcut key recalls frequently used settings i.e. sewing width and size etc. 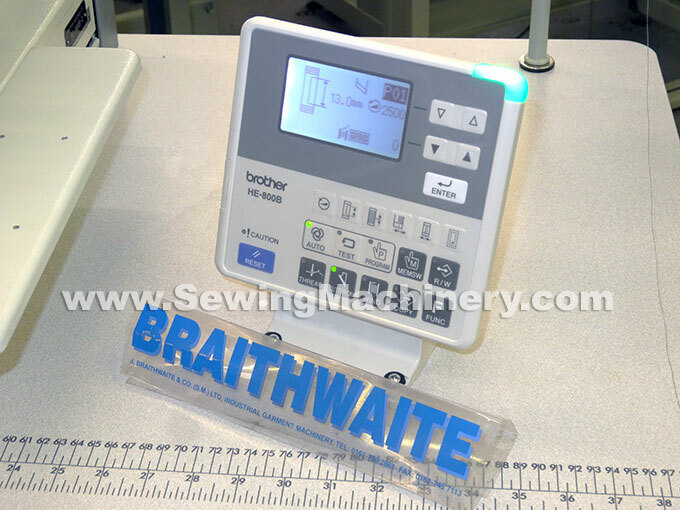 The Mode key allows one-touch key operation of the threading mode and thread winding mode etc. 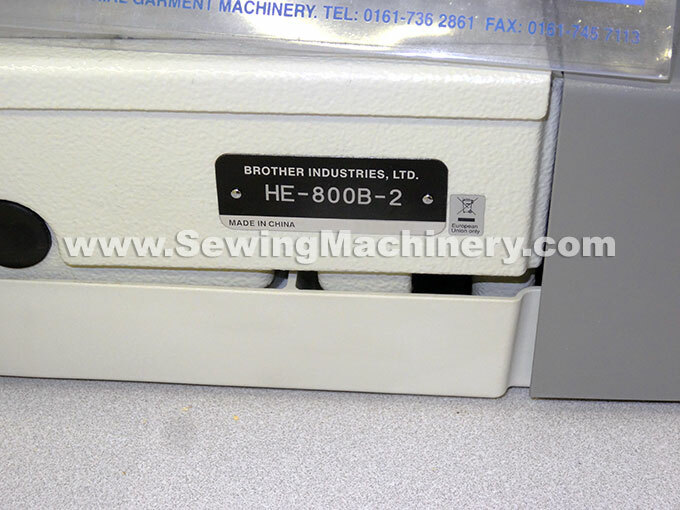 The HE-800B-2, from Brother Industries Ltd, is the latest model Electronic Button-Hole machine now on sale in the UK at Braithwaite Sewing Machines.